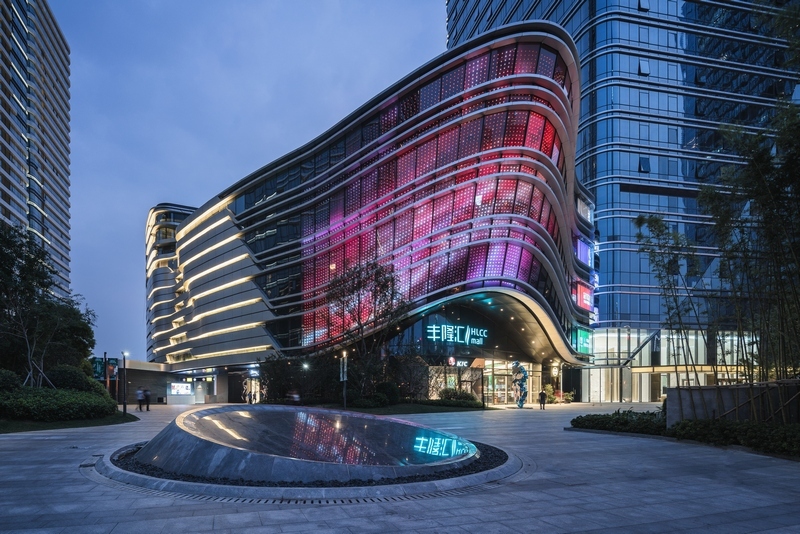 Aedas-designed Hong Leong City Center in Suzhou, China, recently opened its doors. 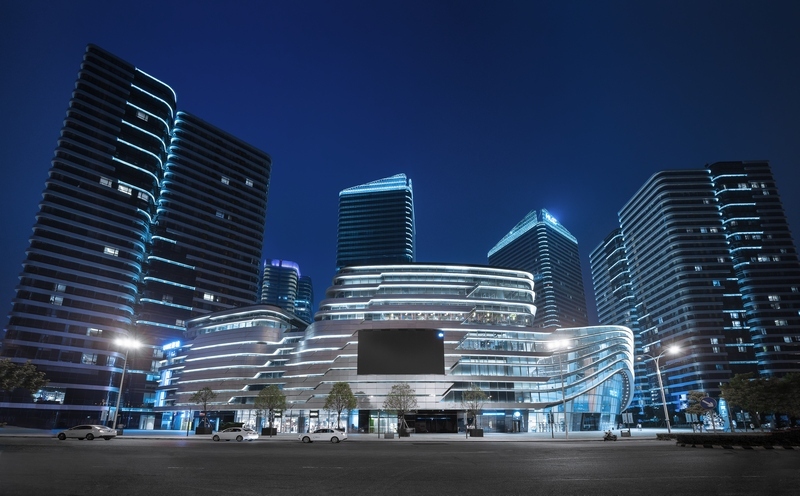 While facing planning conditions that limit building heights and massing, the four towers are allocated at the four corners of the site to maximise views towards the nearby Jinji Lake. 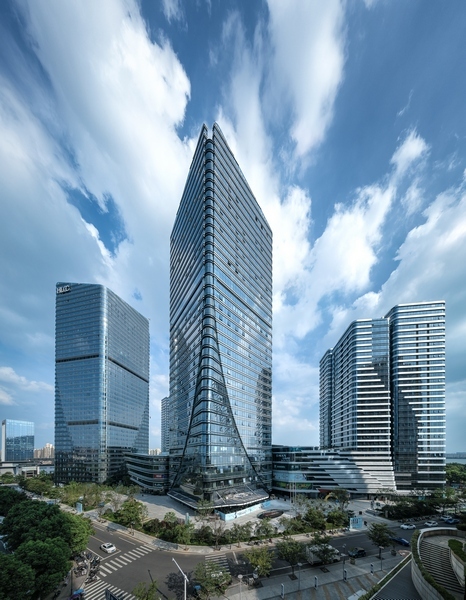 The façade of the two taller towers are also designed in a unified coordination to produce a twin-tower effect. Suzhou is famously known as ‘the paradise on earth’. The architectural design produces a unique organic form which melds seamlessly into the city’s breathtaking landscape. Horizontal lines dominate the façades and the differences in building heights create a three-dimensional terraced form, reminding people of the terraced tea plantations in the region. The development is also porous and highly accessible, with a public landscaped boulevard running across the site from north to south. A mix of programmes and functions scatters along the periphery. The podium links two towers together and features two atria. Visitors may enjoy both lake and garden views at the rooftop garden and outdoor terraces. The projects seeks to become a lifestyle centre for all ages.